I have to say that I love winter food. It's such a cosy comforting time of year with roaring fires, comfy PJ's and lots of comfort foods. 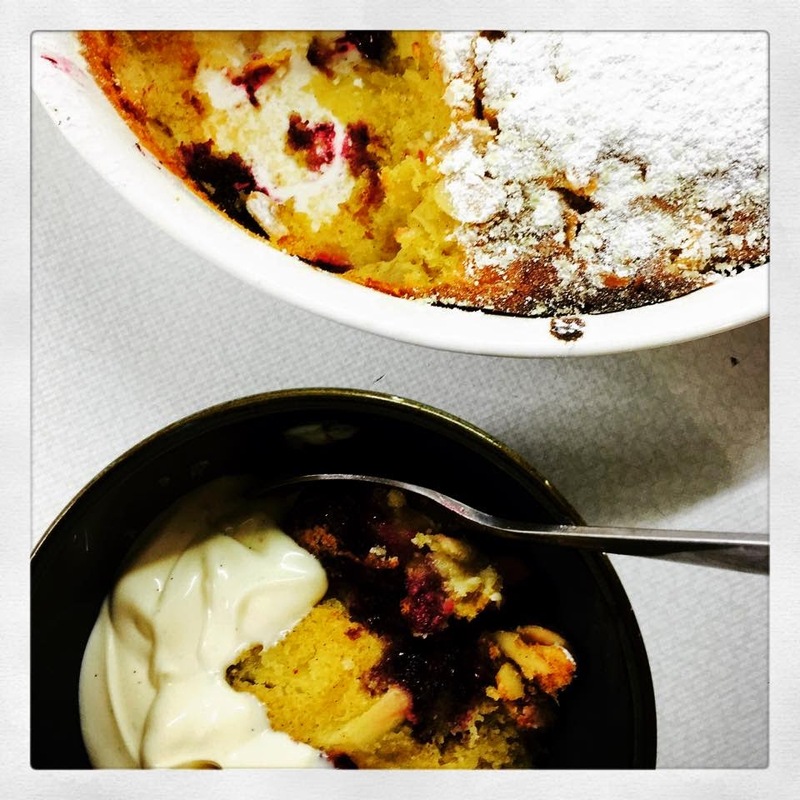 This is such an easy pud, simply pop into the oven as you serve dinner and by the time you've eaten, cleared the plates away and given yourself a bit of time for dinner to have gone down it's ready to serve. Preheat the oven to 170. Mix the sugar, stork, eggs and flour together until you have a light and fluffy cake batter, fold in he apples and blackberries spoon into a buttered dish and sprinkle over the chopped nuts bake in a preheated over for about 40-45 mins, the top of the pudding will look slightly underdone, this is fine as it will continue to bake when removed from the oven and it should be a loose texture. Leave to stand for 10 mins then serve with cream or custard.